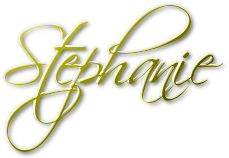 See Stephanie LIVE at these Public Performances! Complete public schedule coming soon! Saturday February 2 Polish Club, Holiday, Florida 5pm-8pm Click here for a flyer! Monday April 22 Dyngus Day, St. Stan's Auditorium, Buffalo, NY 4pm-10pm 2 Bands! Saturday June 8 Summer Hummer, Green Meadow, NJ 3pm-12am 2 Bands!